PRICE REDUCTION!! 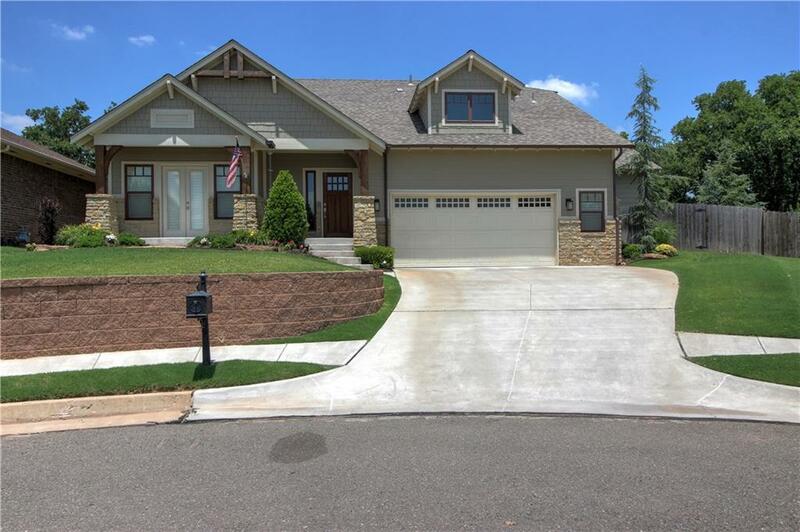 This home has Wood floors in entry, study, hall, kitchen, living, dining & master bed! 2-car oversized garage w/epoxy floor & storm shelter! Study w/plantation shutters, glass doors, wood floors, fan, cathedral ceiling & door to covered front porch. Open kitchen w/L-shaped breakfast bar, stainless appliances, pantry, wood floors, soapstone counters, wood beam ceiling, farm sink and plenty of counter & cabinet space! Family room w/wood beam cathedral ceiling, wood floors, fan, speakers & fireplace w/gas logs. Spacious master bed w/wood floors, door to private covered patio, fan & wood beam ceiling! Master bath w/his & her vanities, whirlpool tub, large shower w/seat & walk-in closet w/access to utility room. Utility room w/sink & storage. Hall bath w/tub. Half bath off entry. Good size backyard w/2 covered patios, sprinkler, security & water softener. Whole house surge protector!